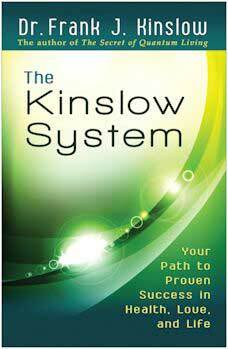 Kinslow System: Your Path to Proven Success in Health, Love, and Life by Dr. Frank J. Kinslow is an impressive book. I’m sure it will continue to add to my life, and hopefully — with this review — to yours, too! First of all, this system works, and it’s simple, stream-lined, and almost effortless to use. I’ve never been to one of Dr. Kinslow’s seminars and just using his book(s) was all I needed to really try his system out. And even though I do practice various forms of Quantum Consciousness (QC) technology (of which the Kinslow System is one), I’m sure the book would have been sufficient even if I knew nothing about QC. 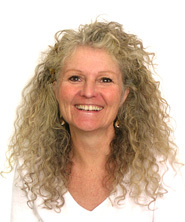 Dr. Kinslow starts off giving you all the basics, moves into applying them, and ends with specific applications and examples of how you can apply the system in various areas of your life. And it’s not dry theory. There are lots of exercises (most are nice, quick ones — don’t worry!) and if you prefer listening rather than reading the steps, he even references some audios that are available for free download which guide you through some of the more important exercises. I really love Dr. Kinslow’s writing style. He explains things extremely well and at the same time is very engaging. He sprinkles in bits of uplifting humor here and there, and you feel like he’s right there with you, carrying you along effortlessly. It’s an easy and enjoyable read. 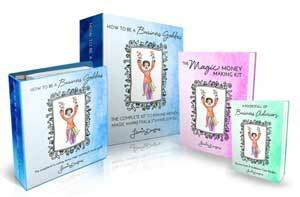 He’s written several other books over the years as he’s developed his comprehensive system. I’ve read a few of them, and although I liked them, too, this book seems to have it all. From what I can tell, The Kinslow System really does explain the whole system. He seems to have refined his previous explanations and includes new material as well. If you want just one of his books, this is the one to get. And if you already have several but would like a nice, comprehensive summary, then I think you’d be glad to have it. Have you read this book? (And were you already familiar with QC technology?) What did you think? By the way, you can read my article in the recent multi-media edition of OM Times Magazine exactly about this topic (of QC)! You’ll find it on page 208. Have you checked out my OM Times 30-Day Conscious Living Challenge yet? 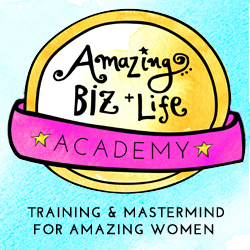 It’s The ABC’s of Actively Being Conscious and it’s going great! There are two participants in particular who I’m enjoying so much (and you know who you are!) and who’ve added a lot to the discussions. For more info about The ABC’s plus the entire OM Times 30-Day Conscious Living Challenge, click the image below. There are almost 30 different challenges, i.e. tracks that you can follow to improve your life in your chosen area. Why You've Got to Read "Dying To Be Me"